We are having an event at the VOWS Amenities Center on October 20th at 7:30 pm to 9:00 pm. At this event we will build approximately 700 Blanket Buddies to give away at our Christmas event and to help other local charities (Philips Wish will give some to homeless children). 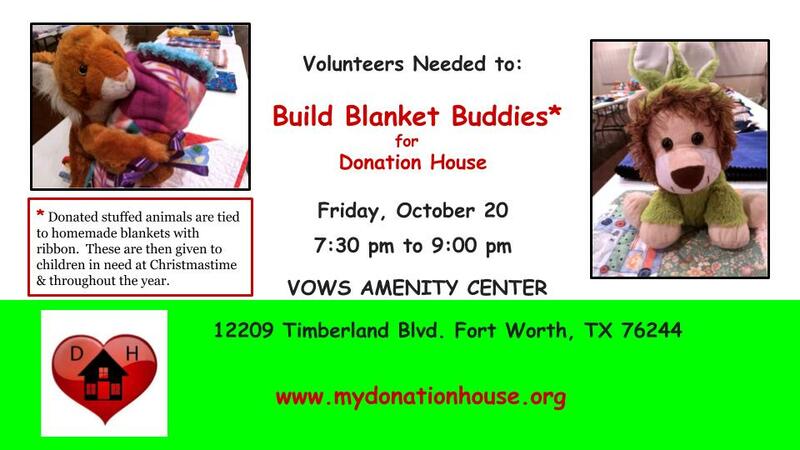 Please spread the word and come help Build a Buddy!